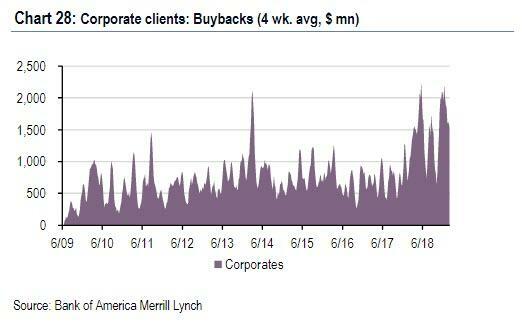 Every day, the question about organic demand for stocks in this market, or the lack thereof, rears its ugly head. As we observed yesterday, while stocks have been blazing higher for the past 7 weeks, in a bizarre twist professional investors, including institutions, hedge funds and retail investors have been selling in droves. 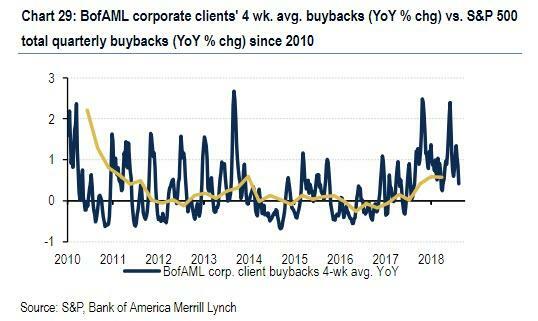 ... with the result that buybacks this year are already set to smash last year's records, as YTD repurchases are trending 78% higher compared to the same period in 2018 (as a reminder, total announced buybacks in 2018 hit a record $1 trillion). The problem with this, however, is that while companies are buying back their own stock - largely to boost management's equity-linked executive comp - there is no appetite for others' stock. Nowhere is this more obvious than in the US IPO market, where in stark denial of the scorching equity rally, there has been a sudden and unexpected freeze. Indeed, as Bloomberg notes, Amazon isn’t the only company scrapping its New York debut: Cibus Corp. today became the last company to postpone its Nasdaq listing on the morning it was supposed to start trading; it was the third firm on this week’s IPO calendar to inexplicably shelve plans at the last minute. Here Bloomberg makes a laughable argument, stating that there is "mounting evidence of rocky market conditions." Uhm, where exactly? In the 17% surge in the S&P in under 7 weeks? Or the record collapse in both the VIX and yield spreads. No, dear Bloomberg editors, there are no "rocky market conditions." There are simply no buyers, because the only "buyers" in this market are either shorts forced to cover, or companies buying back their - and only their - stock. Where Bloomberg is right, however, is in stating that after the postponement by Cibus, plus those by BankFlorida and Virgin Trains USA LLC earlier this week, "it’s more than fair to worry about market conditions for new issues." For comparison, zero launched IPOs were postponed at this point in 2018. And those fears will only grow bigger when you look at IPOs that did manage to lift off: three of four "successful" public offerings are already trading below their offering price, while the only stock in the green (TCR2 Therapeutics) closed just 7 cents higher after its first day of trading today. On average, the full 2019 IPO class has been a disaster, and is failing to keep pace with the market, unless of course one realizes that the "market" is merely companies lifting themselves - and only themselves- by the bootstraps in the form of buybacks. 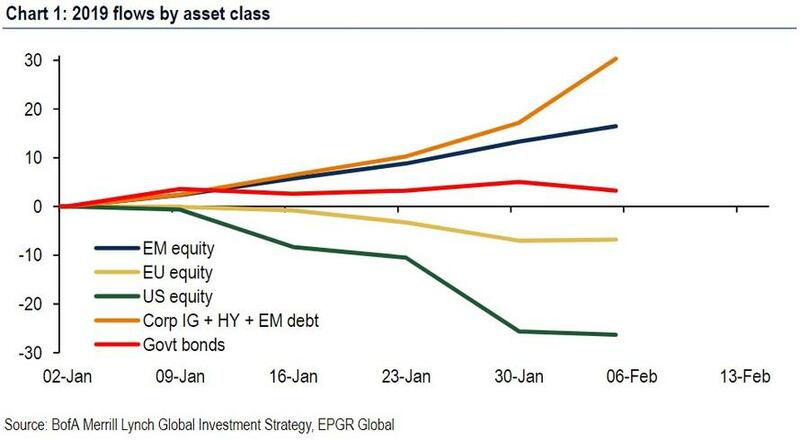 As for organic demand for equity risk, well the sudden burst of pulled IPOs tells you all you need to know. Will this change? For the answer, keep an eye on the primary market: Stealth BioTherapeutics will attempt to buck the trend during tomorrow’s scheduled debut. However, don't hope to use the IPO market as an equity barometer into next week: nNext week’s IPO calendar is blank thanks to today’s deadline for companies to price IPOs without having to provide updated - and audited - financial information for all of 2018. Additionally, presidents’ Day vacations would have likely made next week a quiet one, anyway. The silver lining is that at least the government won’t be shutting down again, so the new issue market should finally have a chance to normalize as the SEC goes through its backlog and IPO candidates update their financials.